Music has such a therapeutic quality and it instills the message that we are not alone in this world. Most importantly it lets us know that somebody out there gets us. 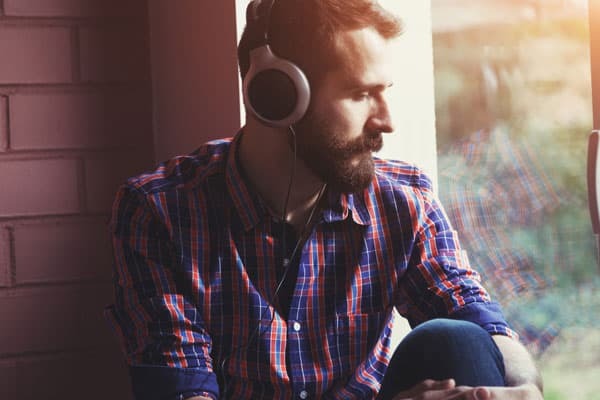 People like songs they can relate to, and when it comes to drug addiction and recovery there are some really great songs from artists who have walked the walk themselves. Below are the five of the best addiction and recovery songs. In “It’s Been Awhile”, is a powerful song by the band Staind. In the song, singer Aaron Lewis, references his former drug addiction problem. The song talks about his reasons for taking drugs: troubled relationship with his father, low self-esteem, mistakes, etc. Listen closely; he’s seems to be happy he’s clean. From being clean he is able to take responsibility, stand on his own, and hold his head up high. Sia’s song Chandelier is about the emptiness and pain that accompanies substance abuse. It tells of Sia’s own struggles with alcoholism and prescription drugs.”Party girls don’t get hurt” and “can’t feel anything” because they numb themselves to the pain. While drinking may provide a temporary escape in the “morning light” the emptiness of reality exists. This song is one of the top ballads of all time. In this song, Chris Rene is speaking to a “young homie” about what drugs he is doing and telling him that life is too short to live that way. Rene’s lyrics are powerfully beautiful and the lyrics are crystal clear and need no interpretation, just listen. In the ballad “Under the Bridge” by the Red Hot Chili Peppers lead singer Anthony Kiedis sings about his days as a heroin addict and the loneliness that went with his addiction. After fighting his addiction and being able to kick the habit, Kiedis had a tough time finding relations with his former friends. The ” bridge downtown” at end of the song, refers to the place he would go to get high. The crux of the song is based on the loneliness Kiedis felt. Under the Bridge started as a poem to deal with his anguish, but it turned into a truly amazing song – a song that has touched the lives of many people. Learn the meaning of this song, then check out the music video here. Many musicians, have struggled with drug addiction. That raw experience has helped them share their feelings, emotions, and struggles with others. There is one rock icon that has captured the devastation of drug addiction and reminds us that life has more to offer than emptiness and loneliness – Nikki Sixx. “Life Is Beautiful” from The Heroin Diaries by Sixx A.M. is about Nikki Sixx’s former drug addiction, the problems he faced while addicted, his losses, and his plea to “Just open your eyes, Just open your eyes And see that life is beautiful.” Take time to soak in the words and you’ll see why this is one of the top addiction recovery songs of all time. These songs are only a few of the tens of thousands that address drug addiction and recovery. What makes many of these songs so powerful is they are written from the heart of an artist who understands addiction first hand. If you struggle with drug addiction – you are NOT alone. People love you and care for you. Please reach out and get help. Your life is important. Your life is beautiful. If you know of another song that instills the message of hope and recovery, please share it in the comment section. If you have a story behind it, and you feel compelled to share it, please do so others may connect with your experience. Raychelle Lohmann has been a counselor since 1998. She has done extensive research in the domain of anger management and careers. She is a published author and enjoys speaking and presenting at conferences and facilitating workshops.